INDIANAPOLIS, IND. (October 4, 2017) — Klipsch®, a tech-driven audio company and wholly-owned subsidiary of VOXX International Corporation (NADAQ: VOXX), today announces the debut of its flagship Heritage HP-3 headphone, which was inspired by founder Paul W. Klipsch (PWK). Long before stereo existed, PWK’s first audio experimentation was with a pair of headphones that he modified for stereo reproduction in 1919. “After two years behind the curtain, we are finally ready to reveal a headphone worthy of the Heritage name. Acoustically, mechanically, and physically this is the most impressive headphone Klipsch has ever created,” said Vlad Grodzinskiy, Sr. Manager of Product Development for Klipsch Group, Inc. The Klipsch HP-3 headphones are meticulously hand-assembled using the finest and most functional contrasting materials – such as die-cast steel, hand-sanded and polished wood, premium-grade leathers, and machined aluminum. Solid-wood, triple-vented ear cups add natural warmth and character. Angled sheepskin ear pads provide perfect depth and distress naturally with age. A genuine hand-stitched cowhide headband adds quality, strength, and becomes more pliable over time. The craftsmanship is showcased by the visible nuts and bolts construction that is built to stand the test of time. The acoustics of the Heritage HP-3 headphones are based on legendary Klipsch sound principles of high efficiency, low distortion, and full range sound. Its semi-open design creates accurate, natural sound and refined bass. The HP-3 also features a recessed a pair of free-edge 52mm biodynamic drivers that decrease distortion, further expand the soundstage, and mimic the imaging characteristics of legendary Klipsch Heritage speakers, as opposed to conventional headphones. The Klipsch Heritage HP-3 headphone (U.S. MSRP $1,199) is packaged with a custom solid-steel rod headphone stand, short (1.37m) and long (2.5m) detachable braided nylon cables, and a custom-fit ¼” adapter. They are available in three solid-wood finishes – walnut, ebony, and oak. 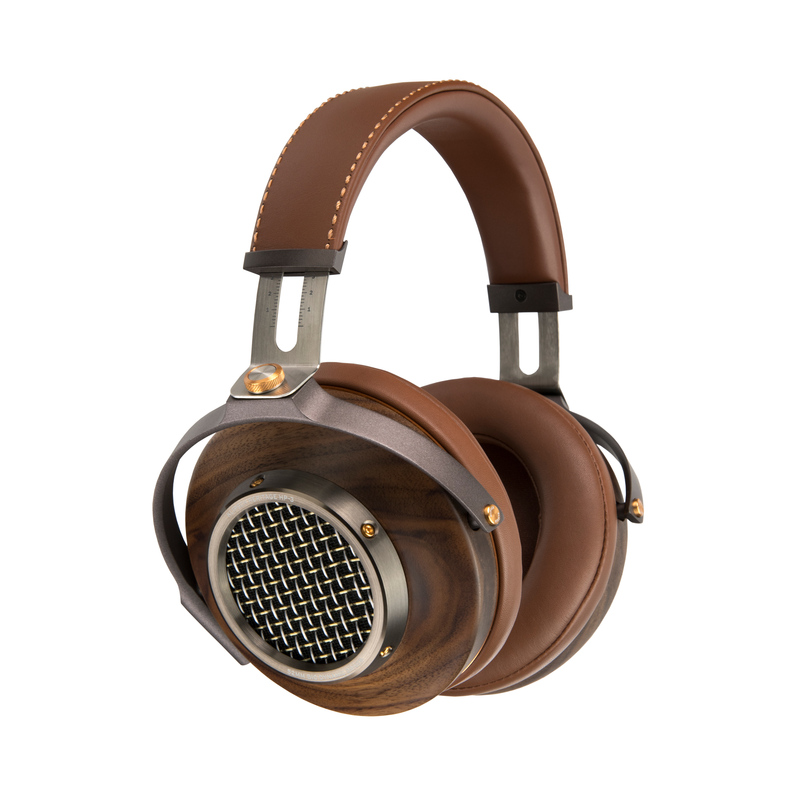 The HP-3 headphone is available now at select retailers and at Klipsch.com. This flagship headphone will make its debut in the Klipsch booth #25 at Can Jam during the Rocky Mountain Audio Fest, October 6-8, 2017. For more information, visit Klipsch.com.